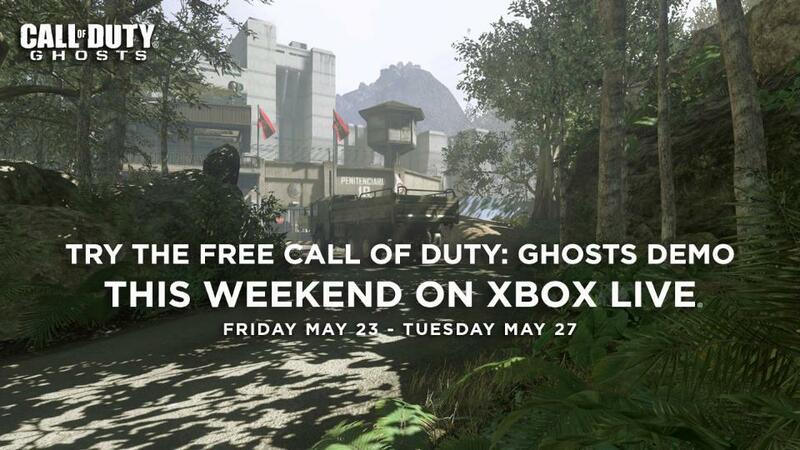 Call of Duty: Ghosts multiplayer is free to play this long weekend on Xbox Live. Both Xbox One and Xbox 360 users will be able to take Infinity Ward’s shooter for a test drive starting Friday, May 23 and going though to Tuesday, May 27. The offer is only extended to Xbox Live members with a Gold subscription. We’ll get more details as they become available.